Composed by George Gershwin (1898-1937). Arranged by Robert Page. Hinshaw Secular. Secular. Octavo. 8 pages. 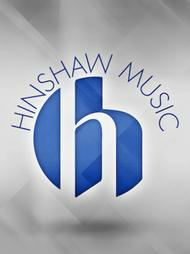 Hinshaw Music Inc. #HMC1698. Published by Hinshaw Music Inc. (HL.8764042). Another Gershwin tune arranged by the master arranger, Robert Page. Fun for choir and audience alike. Ideal for jazz choir or small vocal ensemble. Difficulty Level: Medium Advanced Middle School, High School or Medium Adult. Duration - 00:01:40.